E! 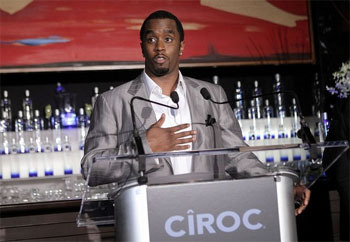 Entertainment Television is partnering with Sean “Diddy” Combs and Combs’ Ciroc vodka brand to launch a public-awareness campaign encouraging responsible drinking. The campaign — featuring celebrities such as Combs, Eva Longoria, Tommy Lee, Wilmer Valderrama, Gabrielle Union and E! personalities — will be comprised of on-air spots, as well as online and wireless elements directing people to taxi services across the country. The message in the campaign is, “Every designated driver is a star,” and it will encourage users to make smart decisions after a night of partying.